Groundhangers wrote: Hi all, been lurking for a week being a newbie and and all and never knew what to post, but at the first site of electronics its bit hard to hold back. Is there anywhere where, you can order a kit or circuit for a higher end detector? Once again hello to all! I must add, been around some other forums and ive found this to be at the more serious end of detecting. Welcome to the forum. Stop lurking!!!! Just select the link on the left that says Kits. 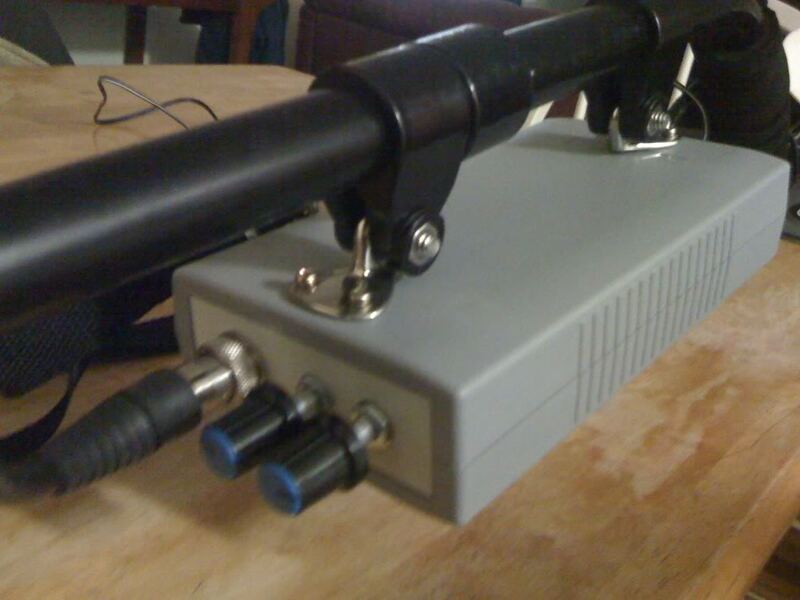 Its also a good forum to join if you are into electronics and metal detecting. @gcause.................Awesome Awesome Awesome.............Watching with great interest................Love your work.....!!!!!!!!!!!!!!! Eventually found those 2 links Gary, after a bit of scouring. Appears theres been a lot nutted out on the Bara over several months and going by the forum results and youtube vids, it sounds like a real goer. Been looking for feedback on the Baracuda in the 1-3ft of water testing but i cant find any. Do have knowledge of any results? Given that that review was from the original (quite what id hoped to hear) Id say the Kits are of similar quality. TH Jim's Bara build came out quite impressive indeed. I think thats the way im going to go. The secret also lies in the coil, ive noted Jims coil specs so its all about a bit homework for me now. Excited now! BTW. Cant wait to more of your progress. I decided to replace the lunch box with a proper case. 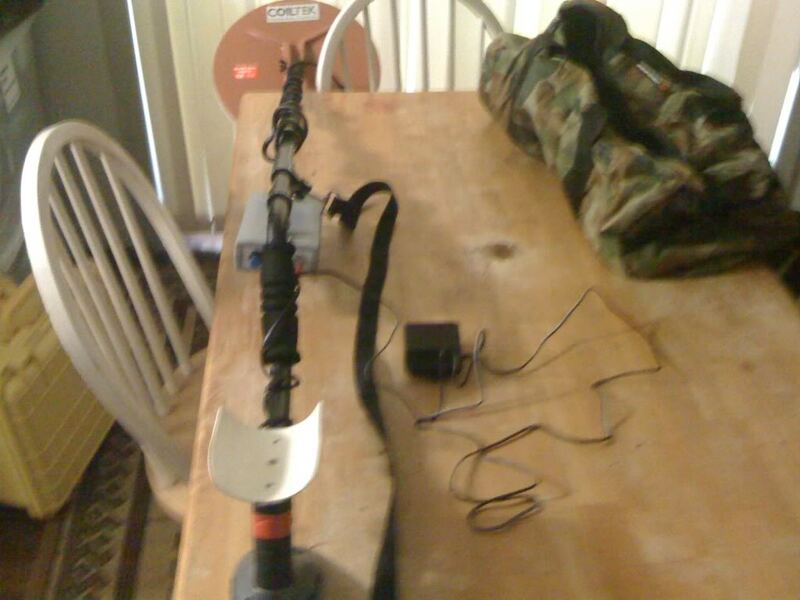 Here is my home built metal detector. It is a Pulse Induction (PI) metal deetector. Only just finished it today. Now just need to get out to the goldfields to test it out. I used the battery from an old drill as the power source. That way I can recharge it and carry a spare battery. Also in the shot is the external speaker for the unit I just picked up from Jaycar. Front of detector with Tune control, speaker jack, and power plug. 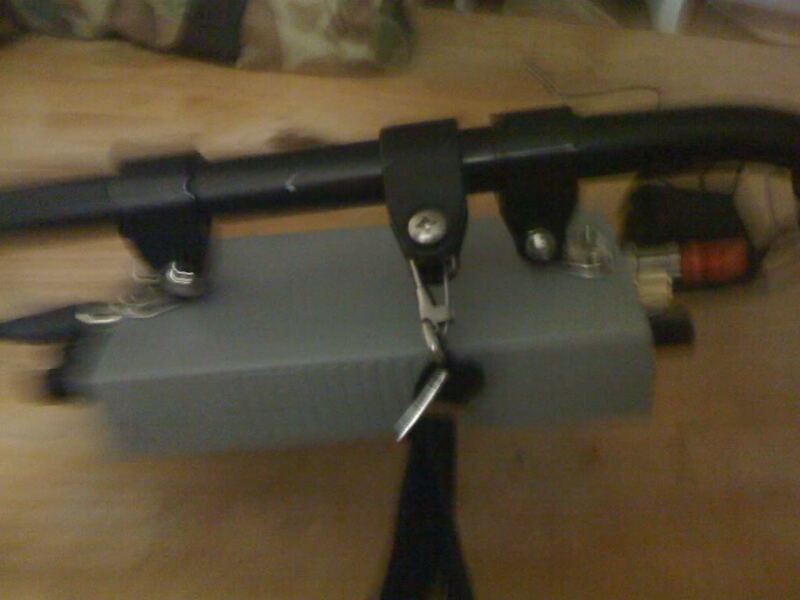 Used boat hook tiedowns and boat bow knuckles to hold it onto the metal detector. Built a custom strap for the metal deteector to take the weight onto my shoulders and carry it like a weed wacker. Here is the top view but it came out a bit fuzzy in the photo. Cant wait for this rain to stop so I can get out and test it on the goldfields. Awesome. Well done mate. Can't wait to see how it goes. Ok just went into Brisbane Gold at Underwood and picked up a Coiltek DD 10"x5" elliptical coil. Hooked her up to my home built detector and tweaked the dials a bit and away she went first go!!! I was worried I would have to rewire the plug for the DD or create some kind of adaptor plug for it. No other adjustments were needed just adjusted the delay and the tuning and away she went the new DD coil is very sensitive picking up metal at about 40cm. So it looks like I can hook up any commercial coil to this thing and it should work just fine. I have only tried Coilteks so far but I am assuming their mono's and DD's would be the same as most other commercial coils. Am I right in that assumption or am I barking up the wrong tree or just barking? Got myself a shiny new Walco prospecting pick while I was there and a black 14" pan to boot. All set for my first trip to the Kilkivan Goldfields now. 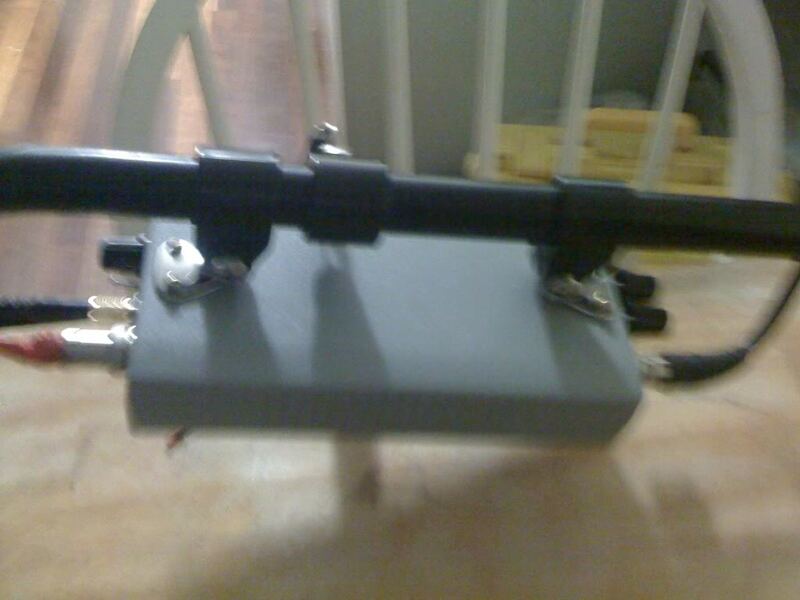 Its good to see you have your DIY detector up and running, bloody awesome project mate. Seeing your machine works with the coils you have mentioned I see no reason why it won't work with the Nuggetfinder or the Minelab coils as wellas the Coiltek ones, all the coils that will work on the PI Minelab machines, will work on yours as well. 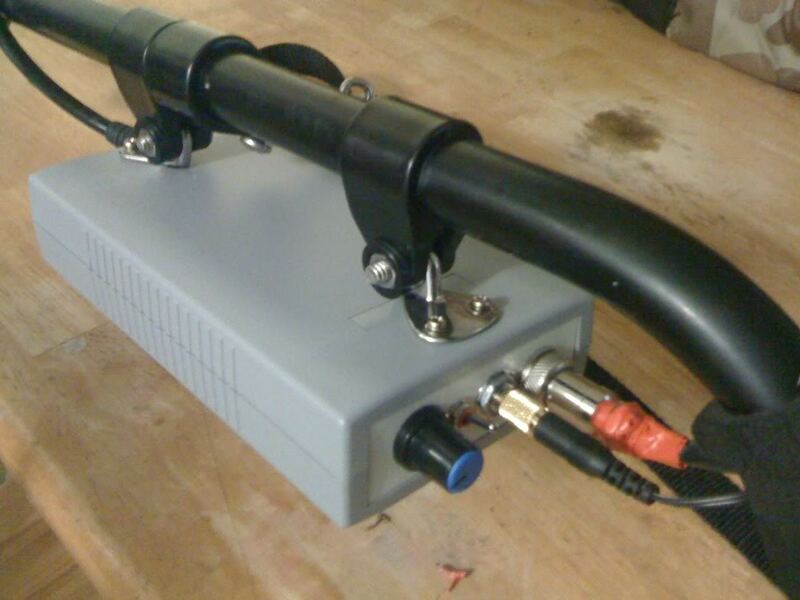 Coils for VLF machines are different and they most probably won't work on yours? as these coils arn't suitable for use on PI type Minelabs either. Hi Grant that is a nice looking unit that you are building, sounds like your onto something good can't wait to see how it performs out in the field shall be keeping an eye on your next posts. Mike54 wrote: Hi Grant that is a nice looking unit that you are building, sounds like your onto something good can't wait to see how it performs out in the field shall be keeping an eye on your next posts. hi all, yes exactly. detector companies have had it too easy for too long. if they can,t produce better detectors, we'll build them ourselves. i,ve said it before, here and AMDRH, it,s not quantum science. so the top of the range unit is $6500 plus, made in ireland or thailand with parts from where, china ? and cheaper in the USA. people still find more gold without them, the true prospectors. IMHO their reputation exceeds the reality. an electronics engineer could surely design a better detector and have it made to spec. in china at a far lesser price. BUT WHEN? no, i don,t buy hype. sorry. cheers. u find gold with this thing or what? Hi GC, did you ever test that beast out in the field?? @Dr Bean wiring diagram on first page of post about half way down. Good luck with it. @Diggerinup I tested it out on the Warwick goldfields in qld and it was no good couldn't handle the mineralised ground as the SurfPI kit didn't have any ground balancing. I also built a Baracuda kit another better PI detector and just swapped out the control box using the same shafts and coil, etc. it also couldn't handle the mineralised ground. I went and bought a second hand Garrett GTI 2500 which has ground balancing both manual and auto tracking. I'd love to buy a mine lab but the Garrett was the best I could afford as I got it at a good price from a mate of mine. Good attempt anyway! keep it up, it would be something to see someone come up with something realistic that could compare to a commercially available PI machine.